AI Seattle closed Friday March 8, 2019. WSAC is partnering with AI Seattle's accreditor and other colleges and universities to provide students with as much information and support as possible for their academic options. The Department of Education is hosting free interactive webinars to shares information and to address questions and concerns from students attending Art Institute campuses. To register for a webinar, click on this link. Here is a list of programs offered by other WA institutions that are comparable to AI Seattle degree programs. To subscribe for email updates please complete this quick survey. Tuesday March 12, 3 - 6 p.m.
Wednesday March 13, 10 a.m. - 1 p.m. Waiving some requirements. To help AI Seattle students graduate as quickly as possible, some schools plan to waive requirements for the number of credits that must be completed at the new school. 31 colleges and universities participated in the information fairs. Find participating schools in the tabs for each info fair. To discharge your student loans, request an application from your student loan servicer. You can find more information on the U.S Department of Education’s closed school discharge program webpage. Here is some information about what to consider before you apply for loan discharge. 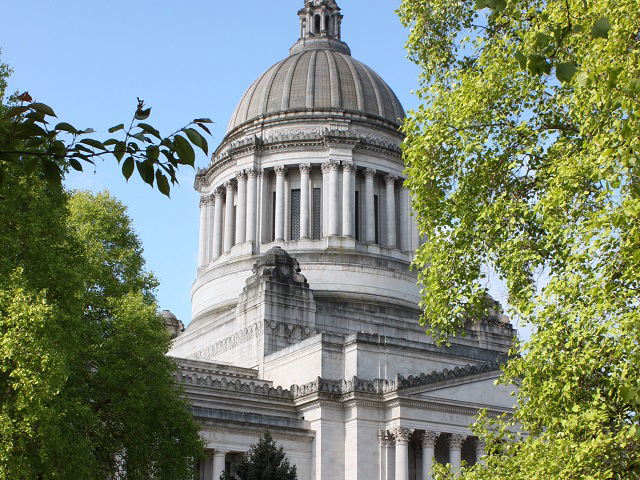 For help with the application for closed school discharge, or to report a problem or complaint about your student loan servicer, contact WSAC's Student Loan Advocate at loanadvocate@wsac.wa.gov or toll-free at 833-881-0397. 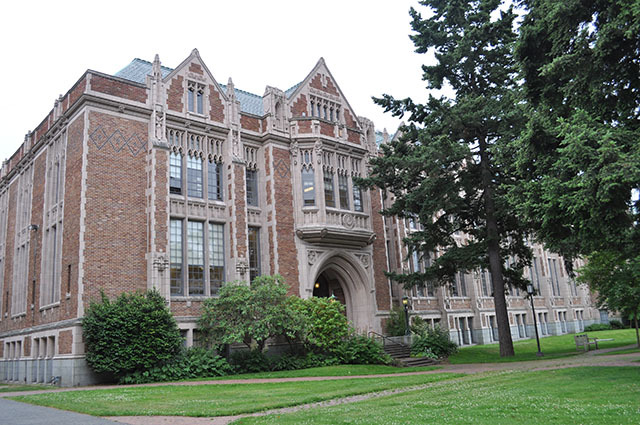 The Department of Education recently announced that it is automatically cancelling all loans made to AI Seattle students for the Winter 2019 term. According to this fact sheet, you do not need to take any action in order for your Winter 2019 loans to be cancelled. Students receiving education benefits from the U.S. Department of Veterans Affairs (VA) may be eligible for restoration of entitlement. Find information and instructions for requesting restoration of VA Education benefits on this form. Students may request up to 3 copies of official transcripts by submitting the Transcript Request Form on this page of AI’s website. The website also provides an email address and instructions for students needing more than 3 official transcripts. The Washington Student Achievement Council has demanded Dream Center Education Holdings to mail an official transcript to each student who was enrolled in the Winter 2019 term or the Fall 2018 term at no charge, consistent with Washington State law. Download a print-friendly handout on info for international students here. Transfer. Students should have 60 days after March 8, 2019 to transfer to another school. The school must be a Student and Exchange Visitor Program (SEVP)-certified school or program. SEVIS record. Once the student transfers to a new school, the school’s international student officer (called a Designated School Official or DSO) should request a manual transfer of the student’s SEVIS record. SEVIS stands for the Student and Exchange Visitor Information System. The DSO can request a manual transfer by contacting the SEVIS Response Center (703-603-3400 or SEVP@ice.dhs.gov) with the student’s SEVIS ID number. For more information, contact the SEVP Response Center (SRC) at 703-603-3400 or sevp@ice.dhs.gov. If emailing, include the student’s name, SEVIS ID number, and a detailed question. Students who were planning to apply for OPT. Students must transfer to a SEVP-certified school or program where they can apply for OPT. Students with a pending OPT application. Students must leave the US or transfer to a SEVP-certified school or program where they can re-apply for OPT. They must also call US Citizenship and Immigration Services (USCIS) at 800-375-5283 to withdraw their OPT petition. Students with OPT. Once AI Seattle is completely withdrawn from SEVIS (date unknown), the student’s OPT ends. The student must stop working or will risk working without authorization. Students should have 60 days to leave the US or transfer to a SEVP-certified school or program where they can re-apply for OPT. Washington’s public colleges and universities may charge different tuition rates, depending on a student’s residency. International students typically pay nonresident tuition and fees. See WSAC’s residency page for more information. Private colleges and universities typically charge the same tuition rate regardless of residency status. WSAC intends to seek recovery of tuition and fees students paid directly to AI Seattle for the Winter 2019 term. Please note that recovery of tuition and fees is not guaranteed, may be limited in scope, and may not account for the full amount of tuition and fees paid directly to AI Seattle for the Winter 2019 term. To provide information to WSAC about tuition and fees that you paid directly to AI Seattle for the Winter 2019 term, please complete this quick survey. We have received multiple reports from former students of AI Seattle that they are being contacted by organizations claiming to offer services to help with repayment or discharge of student loans. Please be wary of these offers; if they seem too good to be true they probably are. Here are some helpful tips and resources you can use to figure out if these organizations are legitimate. The U.S. Department of Education has been contacting students by email or mail only. Be wary of phone calls or texts from someone claiming to be with the U.S. Dept. of Education unless you are expecting a call back. Verify “ed.gov” or other credible email address endings that are associated with government entities before responding to emails.